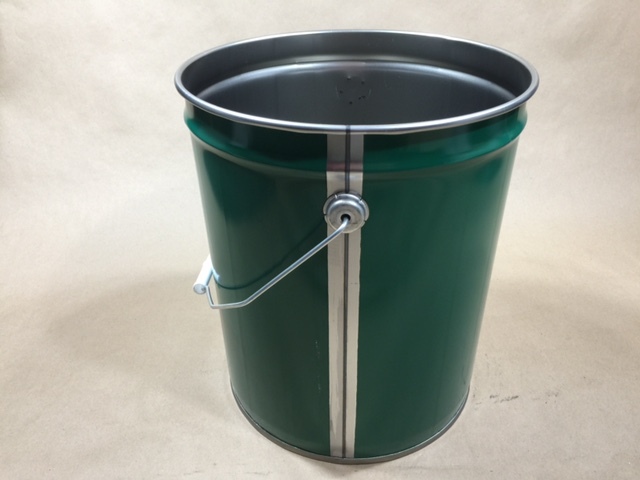 Our item number JAC-10PH-CG-A4WA is a light weight 29 gauge green steel pail. 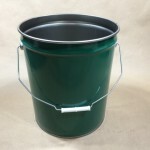 This is a single bead nesting pail with a wire bail handle and a plastic grip. This is an unlined pail with a rust inhibitor and no UN designation. You will note in the picture to the right that this pail has a side seam. The green color is precoated and then the side seam is over sprayed with a rust inhibitor. 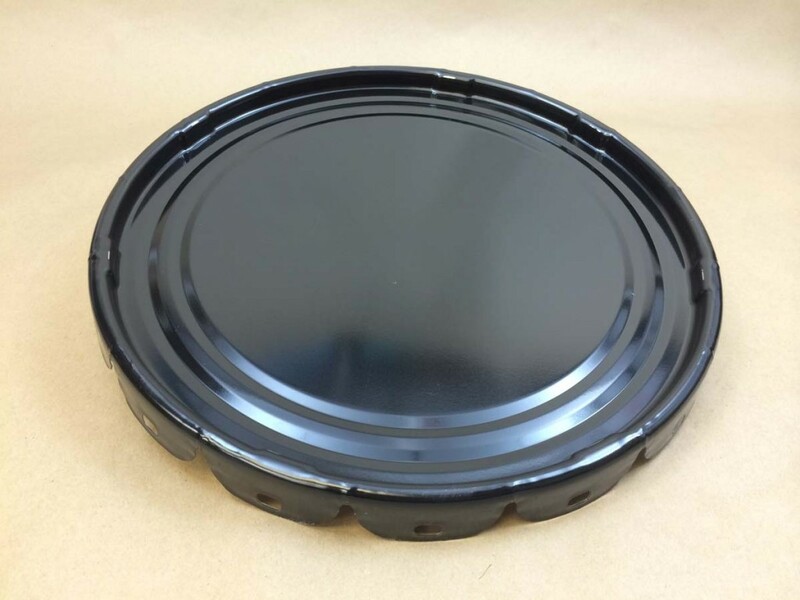 You may purchase the pail only, or choose from a lug cover (in black only) or a dish cover (in black only) and a lever locking ring to attach the dish cover to the pail body. 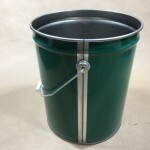 Light weight 29 gauge pails such as this are commonly used in house to store parts or eliminate non-hazardous waste. They are also used with a pail liner which can be found on this page to mix product. 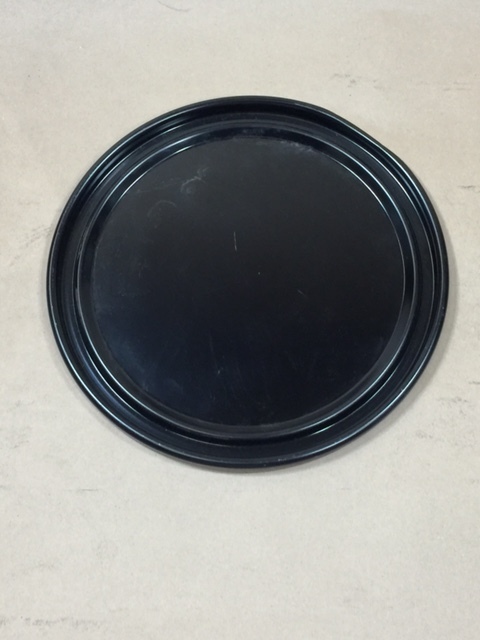 The product is mixed and the pail liner thrown away, allowing the pail to be used multiple times. 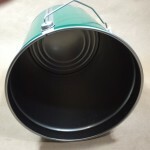 In some instances using a pail liner can even be a low cost alternative to lined steel pails. As always, compatibility of the product with the container is the responsibility of the end user. We suggest you obtain a sample for testing with your product.